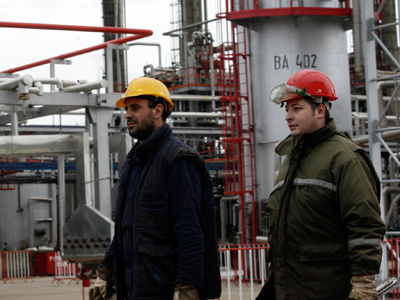 Russia’s Gazprom has broken ground on a $2.7 billion pipeline in Serbia, bypassing Ukraine and ensuring unhindered transport of Russian natural gas to Europe. The Serbian PM says it is "vital" and will create thousands of jobs making it an "energy hub". The project is expected to be finished in 2 years and will employ 20,000 people in construction, gas storage, and energy plant industries, according to Prime Minister Ivica Dacic. "This is vital for Serbia's energy safety ... Serbia will become an energy hub," Prime Minister Dacic said Sunday, AP reported. 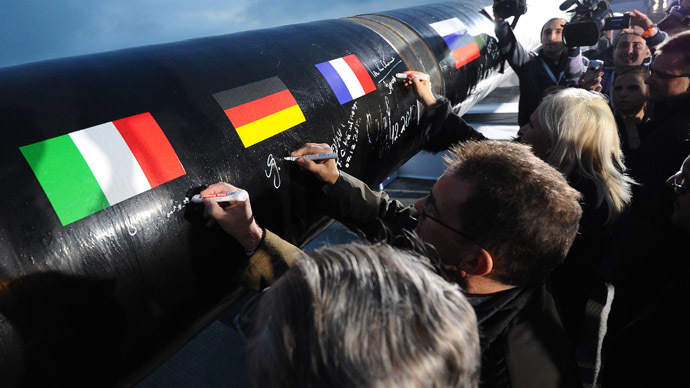 It is part of the South Stream pipeline project to bypass Ukraine, which currently carries 50 percent of Russian gas exported to European markets. Supply disruptions have made Ukraine an unreliable transport partner. “The construction project – unprecedented in scope – will help attract large investment to Serbia and other Balkan countries, create jobs and will favor further social and economic development,” by uniting Russia's biggest natural gas deposits with major markets in Europe, Putin said. The section under construction will have the capacity to transport 40.5 billion cubic meters per year and stretches about 420 kilometers across Serbia. Serbia hopes the pipeline’s construction will boost economic development and strengthen international authority, said Serbian President Tomislav Nikolic in Belgrade. He also attended Sunday's ceremony to launch construction. Nikolic said that South Stream was a symbol of progress and union of states and peoples, especially Serbia and Russia. 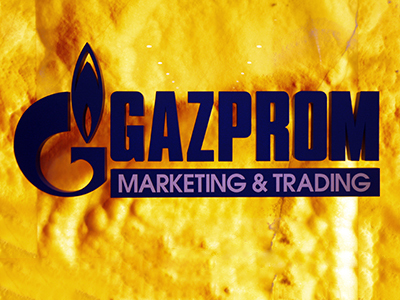 Russia’s Gazprom holds 51 percent of the joint venture, while Serbiagaz has 49 percent of the Serbian section. 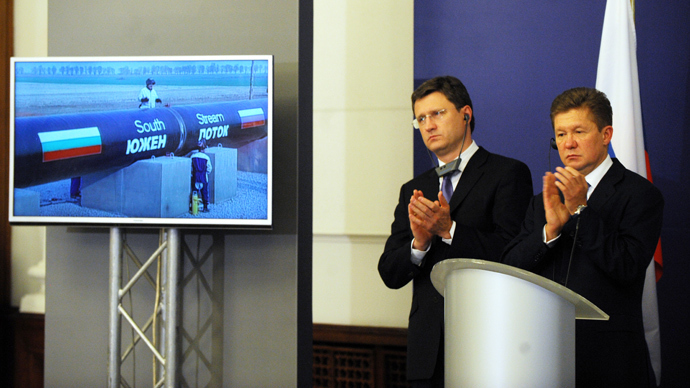 Gazprom is to finance the partners’ stake in the construction of both the Serbian and Bulgarian sections of the pipeline. 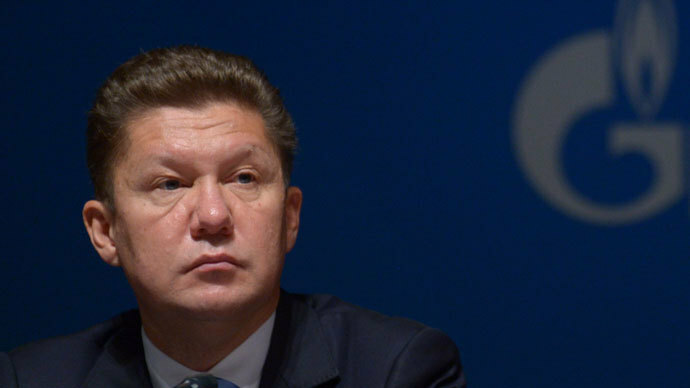 Gazprom has offered a loan on favorable terms “below the market,” said the head of the company Aleksey Miller, adding that the money is expected to be repaid with the fees received from gas transit. The trans-European pipeline with an underwater section across the Black Sea is expected to start operating in December 2015, shipping up to 64 billion cubic meters of gas annually to Bulgaria, Serbia, Hungary, Slovenia, and Austria and Italy in one direction and Croatia, Macedonia, Greece and Turkey in a second. "We will be part of a pan-European project; this is not just a Russian project,” Dacic said. Serbia hopes the cooperation will bring it strategically closer to both Russia and Europe. As well as being a key energy partner, Russia has supported Serbia on political issues like Kosovo. Serbia also wants to join the European Union, but they have been at odds over Serbia's stance on Kosovo. "We wish to unite our two strategic goals: partner relations with the Russian Federation and EU membership,'' Dacic said, adding Serbia is also interested in improving relations with America. The prime minister explained Serbia’s close relationship with Russia was in part due to it not yet finding a strong strategic partner in the west. "Those (in the West) who criticize Serbia for its closeness to Russia and for our partnership with Russia, should ask themselves why they haven't offered such relations to Serbia?" Dacic said. "I keep telling the West: Serbia needs a strategic partner in the West too ... But, they are not interested at all," AP reported.